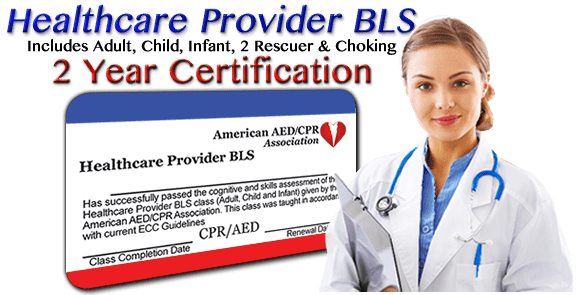 The AED or Automated External Defibrillator is the single most important advancement in saving victims of sudden cardiac arrest. 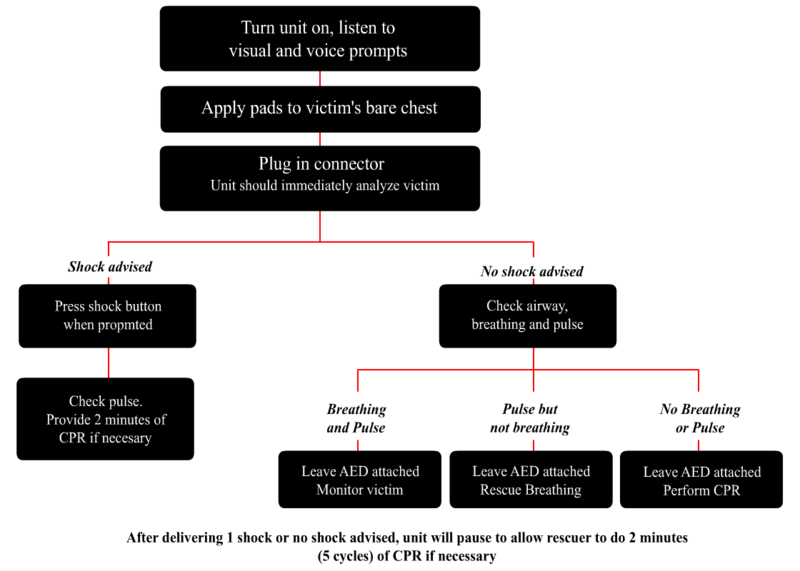 How and when to use an AED (automated external defibrillator) to assist a heart attack victim along with CPR. An AED will only work on victims with a shockable rhythm such as ventricular fibrillation or ventricular tachycardia. When one of these pulseless rhythms are detected, the AED will provide an electrical shock intended to stop all heart activity and allow the heart to resume it’s normal function on it’s own. It’s important to note that an AED stops the heart, it does not jump start it. This is why it is important to attach an AED and shock the victim quickly. If the victim is not shocked within the first 5 minutes then the chance of survival will go down 50%. 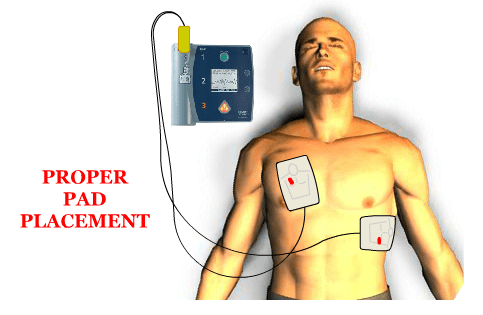 The AED should be placed next to the victim’s head, on the same side of the victim as you. If you have completed the ABC’s and found no signs of circulation, turn on the AED. If you have already begun CPR at the time the AED arrives, you must STOP CPR IMMEDIATELY, do not complete your cycle. At this point the AED takes precedence over CPR. The AED had both visual and voice prompts. As soon as you turn the unit on, it will tell you exactly what to do. First place the pads on victim’s bare chest. The pads have an illustration that shows correct placement. Only use adult pads, do not use child pads on an adult. One pad should be placed on the victim's upper right section of the chest, just below the collarbone. The other pad should be placed on the victim’s side, just below the left armpit. Plug pad connector into the AED. Then stand clear, the AED will analyze the victim. If shock is advised, the AED will charge and tell you to “press the shock button”. Then it will pause and allow you to perform CPR for 2 minutes. This will provide oxygenated blood to the major organs and sustain the victim. After about 2 minutes, the AED will analyze the victim and provide another shock if needed. The AED will repeat the sequence until EMS arrives.